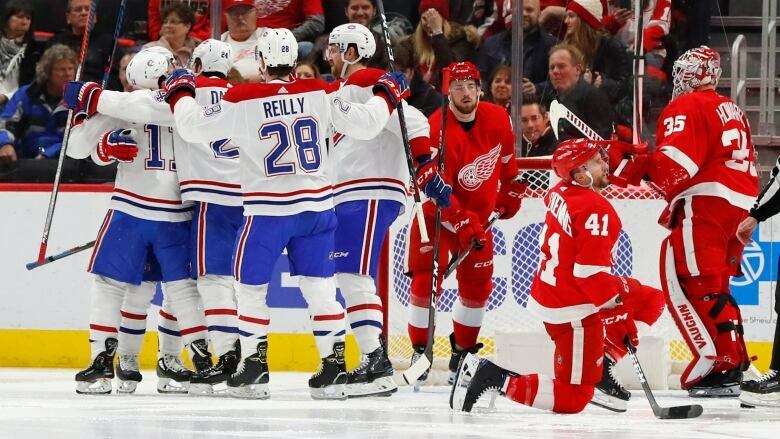 Brendan Gallagher and Joel Armia scored 66 seconds apart early in the second period, and the Montreal Canadiens edged the Detroit Red Wings 3-2 on Tuesday night. Jeff Petry finally scored a goal against the Red Wings in Detroit, and it turned out to be decisive. Montreal began the third period much like the second. Former Red Wing Tomas Tatar found Petry trailing a rush, and the Montreal defenceman scored with a wrist shot from between the circles.